David is the principal owner of the Greensboro office of Hotel and Club Associates, Inc. He began his real estate appraisal practice in 1983 upon graduation from Appalachian State University. He graduated with honors with a Bachelor of Science in Business Administration with concentration in finance and real estate. During his career, David has experience in virtually every aspect of residential and commercial real estate. His career has spanned several “seasons”. During the initial years, he focused on single-family residential properties, followed by a period of institutional grade investment properties (multi-family, retail, office, and industrial) for syndicators, pension funds, and insurance clients. This was followed by a “season” focusing on eminent domain appraisals for highway right-of-way acquisitions in NC, VA, and WV. David also is experienced in the valuation of development properties (residential and commercial subdivisions). Since 2002, David has focused on hospitality, golf, and life style properties with Hotel and Club Associates, Inc. David became principal owner of the Greensboro office of Hotel and Club Associates, Inc. in 2008. 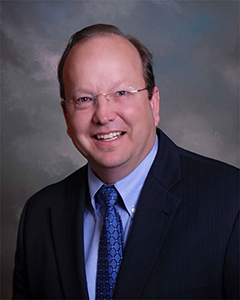 David has been qualified as expert in real estate valuation in several courts including U.S. Bankruptcy Court. Additionally, he has testified at property tax hearings and has assisted in the mediation of property tax and other disputes. David has some teaching experience including hotel valuation for the NC Tax Assessor’s Association. David holds the MAI and SRA designations from the Appraisal Institute and the SGA® designation from the Society of Golf Appraisers. The Society of Golf Appraisers is a group of MAI-designated appraisers from across the U.S. that specialize in the valuation of golf properties. David has held several offices in the North Carolina Chapter of the Appraisal Institute and served as the President of this organization in 2012. David holds general real estate appraisal certifications in North Carolina, South Carolina, Virginia, West Virginia, Tennessee, Georgia, Texas, and Alabama and is a licensed North Carolina real estate broker.